America's Trail System Needs Help | Crowdfund Great Experiences & Activities in Your Community! 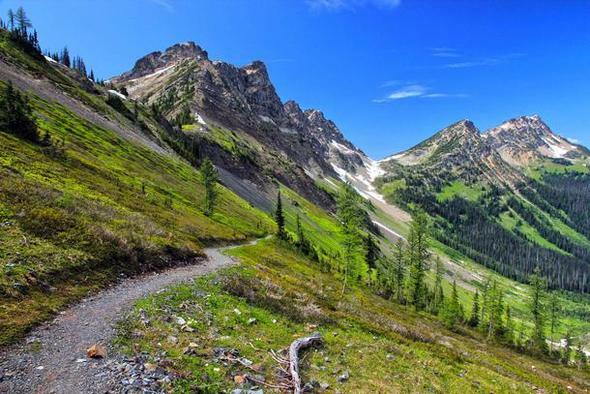 Your contribution to the Sustainable Trails Coalition will help us to lobby Congress to fix outdated national trail policies that currently restrict proper trail maintenance and limit human-powered access to our scenic trails and Wilderness areas. Help us increase human-powered access and inspire a new generation of conservationists! Thanks for everything you guys are doing! I just read about you via a BIKE magazine article linked from Adventure Cycling Association's Bike Bits email newsletter. I am so glad that someone is doing this. It is something that I have thought needed doing for over 15 years but had neither the resources nor the knowledge to attempt. It is also one issue on which I disagree with IMBA's policy even though they do much good otherwise. Good luck and keep us in the loop on any actual progress that occurs and on any way in which we can offer verbal input to the process when needed. Thanks for working on the broken system! We need you help with the USAMCE in the south! This is an issue I feel very passionate about in Colorado. I am an avid environmentalist, but troubled by the lack of access to wilderness. In six years of almost daily biking and skiing in Colorado, I have yet to explore most of the extensive wilderness areas in my county. Not only do I selfishly want to ride my mountain bike in some wilderness areas (or often just use a connector trail that passes briefly through wilderness), I feel critical public support of wilderness is diminished by lack of access. Personally, as an environmental advocate (I drive an electric car powered by solar panels), I find myself hesitant to support local wilderness initiatives that will limit my access on a bicycle, even though I otherwise support the proposal. While I would not want to ride my bike in wilderness if I felt it harmed the landscape or wildlife, I fail to see how it would. What REALLY bothers me is that if someone like me is hesitant to support wilderness, what about other people less environmentally concerned? How many areas will therefore fail to gain wilderness designation due to lack of public support? Worse, how many areas will then be subject to mining and logging development?! I was given a warning by a ranger for using a wheelbarrow to haul a raft 1 mile down to a wilderness section of the Gunnison River. After returning the wheelbarrow to the parking lot, then carrying the 100+ pound raft to the river, I found myself gagging from the flies and urine at the rivers edge where pack horses bring in rafts. Those pack horses cost $600 to bring gear in, and require a rancher to transport them 40 miles in a huge trailer with a huge truck to the wilderness boundary, then back to his ranch again. Those packhorses have massive environmental impact compared to my simple wheelbarrow. I doesn’t make sense, and those misguided rules cause harm. Another thing not covered on your website: paragliders are banned in wilderness. Paragliders leave even less trace than a canoe through water! They are made of nylon with no mechanical parts, and are the equivalent of a flying tent. They make no noise. They leave no trace - not even footprints. Why on earth are they banned? Why exclude people paragliding and their support of wilderness? This too makes no sense. Thank you for addressing this critical issue. I will make a donation!